After the stunning victory in the first Test against India at Melbourne, the Australian coach Mickey Arthur has indicated they will retain the same bowling guns for the second Test at Sydney. The Kangaroos humiliated the visitors in the first encounter by a big margin of 122 runs in just four days on December 29, 2011, at Melbourne Cricket Ground (MCG). The three men express army destroyed one of the best batting sides in the world by capturing 19 wickets with their thunder bolts. The Aussies included off spinner Nathan Lyon in their line up who delivered 17 overs in the first innings, conceded 66 runs at an economy rate of 3.88 and was unable to get a wicket. He managed one wicket in the Indian second innings when he got rid of Umesh Yadav which closed the chapter of the match. The off spinner bowled 17.5 overs in the match but remained economical and provided assistance to the seamers as and when required. 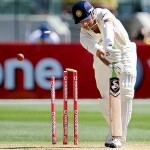 The fast bowling trio of James Pattinson, Ben Hilfenhaus and Peter Siddle was destructive for India in the first Test. The visitors were bowled out at 282 runs in 94.1 overs in their first innings as their middle and lower order collapsed and they could not capitalised the solid foundation laid down by their top order. They sunk the boat of the rivals by embarrassing them out of the field at just 169 runs in 47.5 overs in the second innings. The curator, Tom Parker has hinted out that the pitch at Sydney will assist fast bowlers and they can be destructive on the first day of the match. The toss will play an important role in the match and the winning Captain will definitely opt for fielding first on the fast track. 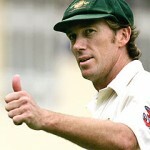 Australia was at the receiving end on the last two occasions while batting first at Sydney Cricket Ground. They played the second Test against Pakistan on January 3, 4, 5 and 6, 2010, and were bowled out for mere 127 runs in the first innings on the inaugural day of the match. However, the home side managed to win the tense match by 36 runs at the end of the day. The fifth Ashes Test was played on January 3, 4, 5, 6 and 7th, 2011, and their first innings was folded back on 280 runs which resulted in a massive loss by an innings and 83 runs at the hands of England. The second Test will start from January 3, 2011, and Arthur was sure that the pace trio will provide the required results and Lyon will prove his worth in the match as well.